I’ve been working on an art project called “Momentary Monuments” that maps the stories of Boston’s phenomenal women through the making of a tiny monument. The project was recently featured on CoLab Radio. Please contact me if you would like to submit your story. We often accept standard classifications of history without thinking, assuming that “Byzantine” or “early modern” describes an era that is universal. And yet, feminist historian Joan Kelly-Gadol has argued that these schemes invariably chart male-oriented developments. She writes that although this history is presumed to apply to the whole human race, that women’s histories would map very different trajectories if featured more prominently. Along the same lines, a recent petition on Change.org pointed out that between 2010 and 2013, only 17% of Google Doodles (featuring events and people of supposed universal significance) displayed women – and until 2013 there were no women of color on global Doodles. In our history books, and in our monuments and memorials, complex narratives are flattened into smooth and palatable sound bites. Momentary Monuments is a project created in response to this, as part of the ACT class on Public Art taught by Professors Antoni Muntadas and Gediminas Urbonas. It aims to insert some of the complexity and messiness inherent in multiple narratives back into the public sphere. For the class, this project focused on collecting the stories of women in the MIT and Cambridge/Boston community. They were given small boxes of boards with perforated shapes that draw from (and playfully satirize) monumental forms. These “Make a Mini-Monument” kits could be assembled in endless permutations, emphasizing playfulness and autonomy. 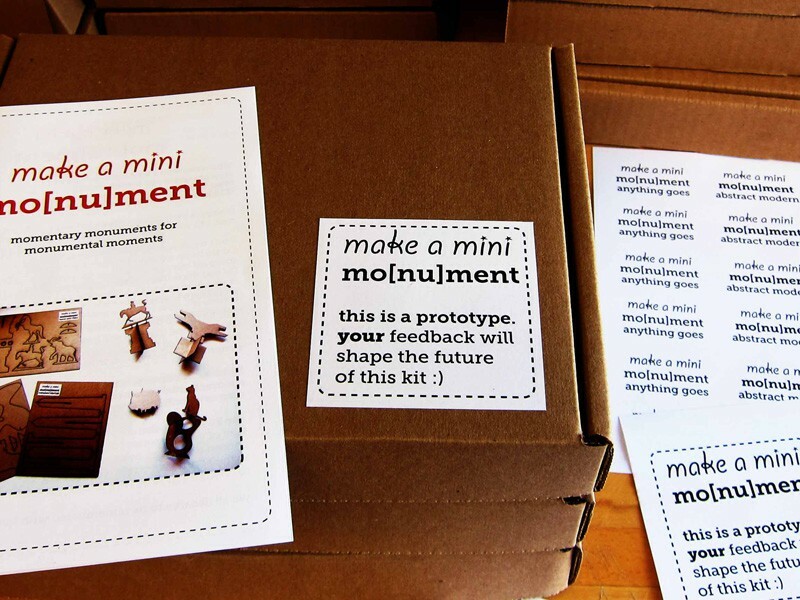 When each user decided on an event or person she wished to commemorate, she made a tiny cardboard ‘monument’ with the kit, placed it in the public space of her choice, and took a photograph of the Momentary Monument. 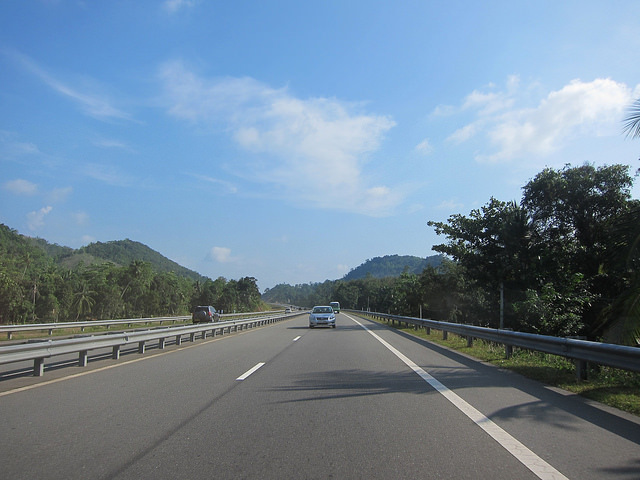 She then uploaded the picture, along with her story, to the project blog or emailed it to be uploaded. The project site was created with vojo.co, a multimedia platform created by the MIT Center for Civic Media that allows for a range of input methods, from blog posts to email to voice messages to SMS and MMS. Its mapping function allows all the miniature, momentary monuments to be presented as though they are landmarks on a virtual map. 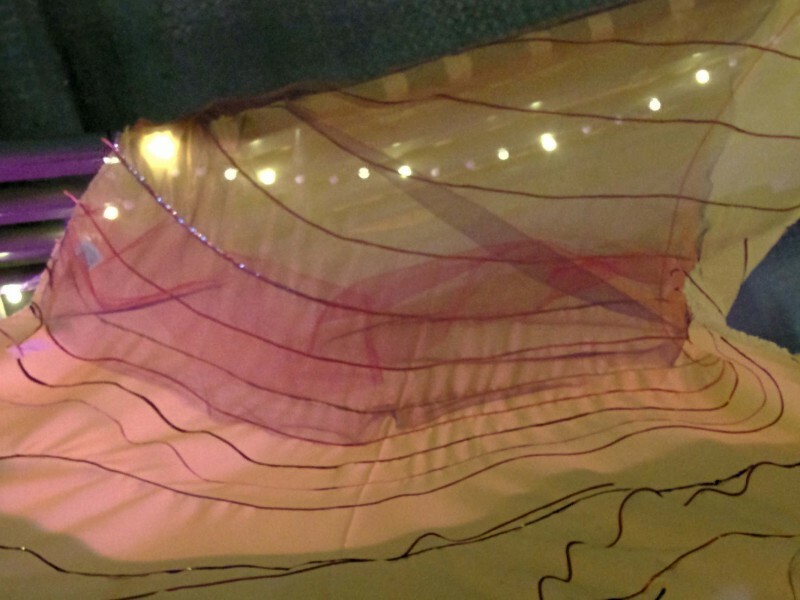 As users added their stories, a constellation of hidden narratives and personal memories emerged. By inspiring users to create, place, and record a personalised monument, the project challenges monumental forms through playful construction. These ephemeral creations made of disposable materials subvert the grand and immovable nature of the monument while still retaining its memorial quality. Ultimately, the kit asks the public to reconsider who and what ‘should’ be remembered, and the form and space in which remembrance ‘should’ take place.